Summary: This article introduces you top 5 best iTunes DRM removal Mac tools for you to remove DRM from iTunes videos, audiobooks, movies and Apple Music on your Mac easily and freely. Are you a Mac user? Are you looking for a professional iTunes DRM removal Mac to remove the DRM protection on the contents you get from iTunes store or Apple music? Then you have come to the right place. FairPlay DRM protection is a copy protection used by Apple Company to prevent users from making copies of iTunes files and songs that are downloaded from iTunes Store and Apple Music. It is annoying for it doesn’t allow you to make backups of your legally purchased contents for enjoying in your way. So that’s why we use an iTunes DRM removal, to remove the DRM protection completely. Here in this article, we will introduce you top 5 best iTunes DRM removal Mac tools for you to remove DRM from iTunes videos, audiobooks, movies and Apple Music on your Mac easily and freely. DVDFab Mac DRM Removal for Apple is the best iTunes DRM removal for Mac that can remove the DRM protection from iTunes media contents easily and quickly. All the Apple media contents like videos, movies, TV Shows, audiobooks and songs from Apple Music are supported, and the mac DRM removal enables you to kill the DRM protection on them and convert them into MP4 video files and M4A audio files with only a few mouse clicks. The removal is a permanent DRM removal, which means it can remove DRM from iTunes purchases and rentals completely and forever. The resulting videos will have premium quality, and the output audio files will feature a lossless audio quality. All the DVDFab software programs are speedy, and there is no an exception on DVDFab Mac DRM Removal for Apple. The Mac iTunes DRM converter can remove the DRM protection and convert iTunes files at an amazingly fast speed. With its support to batch conversion, you can convert a bundle of video or audio files at a time. When the removal process is complete, DVDFab Mac DRM Removal for Apple can add the DRM-free videos to other modules of DVDFab like Converter and Creator, which lets you convert the iTunes videos to any other formats you like or burn the videos to a DVD or Blu-ray disc for playback on a DVD/Blu-ray player. Tuneskit M4V Converter for Mac is an easy-to-use Mac DRM removal software program that can remove DRM protection and convert iTunes videos to non-DRM videos in formats like MP4, MOV, M4V, MPG, AVI, FLV and more. There are also some optimized presets, which allows you to convert the iTunes resources to devices like iPhone 6, Apple TV, iPad, Samsung Galaxy and more. The removal would be lossless if you choose the output video format as MP4 or M4V. Same with DVDFab Mac DRM Removal for Apple, it supports both iTunes purchases and rentals, but it cannot deal with the FairPlay DRM on iTunes audiobooks and Apple Music. 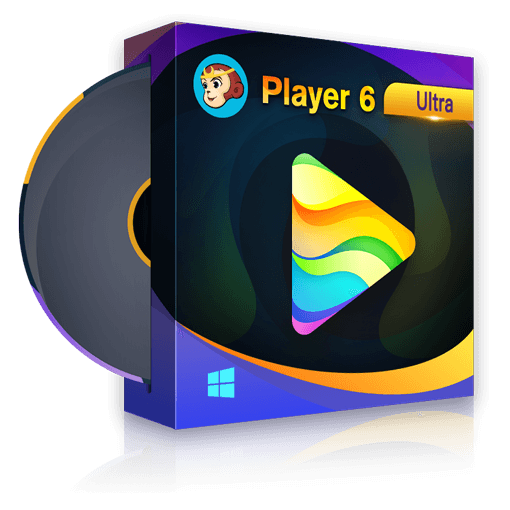 Ondesoft iTunes DRM Media Converter Mac is one of the best iTunes DRM removals for Mac that can remove DRM from iTunes movies, TV shows and Music Videos and output lossless MP4 files that can be played on any video player. It can strip DRM from both the video rentals and purchases and allows you to keep these iTunes files forever. With this Mac DRM removal, the original video and audio will be retained, including the 1080p HD video quality, AC3 Dolby 5.1, AD, audio tracks, subtitles and closed captions. The iTunes audiobooks and Apple Music are not supported. Tune4Mac iTunes Video Converter is a full-featured iTunes DRM removal and video converter for Mac. It can convert the original DRM-protected M4V videos and movies to MOV, MP4, FLV, AVI, etc., various devices like iPhone, iPod, Apple TV, Sony PSP, etc., and formats supported by websites like YouTube, Facebook, Flickr, etc. More advanced than other iTunes video converter, it also provides the customization options that allows you to change the video size, bit rate and language for the converted movies. It is also possible to convert iTunes videos to MP3, WAV, and AAC audio formats. However, it only works on iTunes video rentals and purchases. NoteBurner is a great M4V DRM removal tool for Mac users. It can remove DRM from both purchased and rented iTunes M4V videos and movies. Moreover, it can convert iTunes M4V files to tons of formats like MP4, AVI, MPG, MPEG-1, MPEG-2, 3GP, 3G2, FLV, etc. and all devices like Motorola, Samsung Galaxy, LG, Sony, Blackberry, etc. Before conversion, if you choose “Same as source”, you can get a lossless and DRM-free video. It comes with many customization tools, which allows you to clip the iTunes video and change the parameters like codec, bitrate, size, audio channel and more. Same with DRM removals like Tune4Mac and others, it dedicates to coping with iTunes videos, and if you want remove DRM from iTunes audiobooks and Apple Music, you have to find another iTunes audio converter. Just try these DRM removals Mac yourself!